Step 1: Choose your beads. 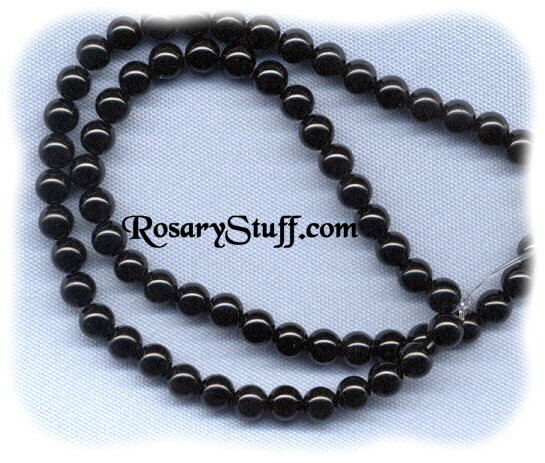 This rosary will be made using round 6mm round Black Onyx STONE beads. 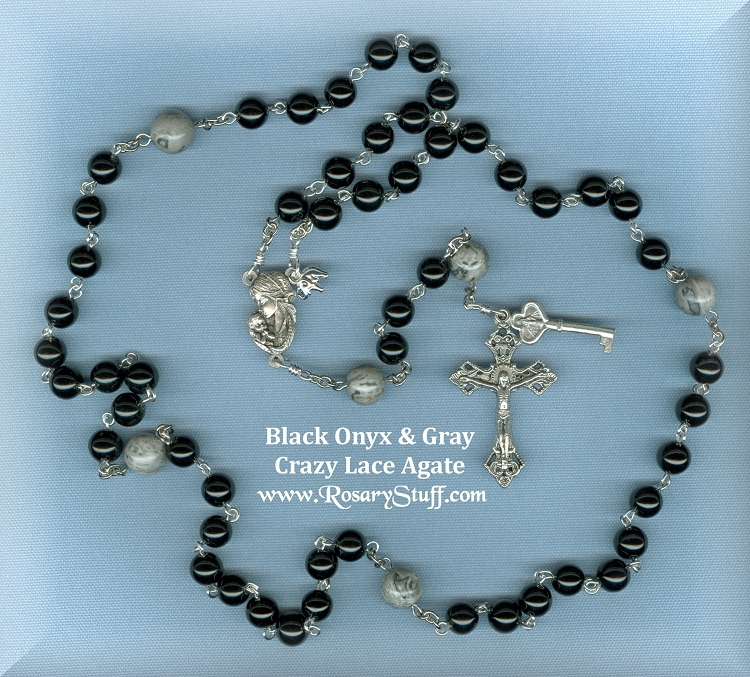 Onyx is a perfect stone for a men's rosary but can also be dressed up with fancy parts and rose Paters for a lovely women's rosary too. Would you like to use a different bead for the Paters? Click here to see what's available.